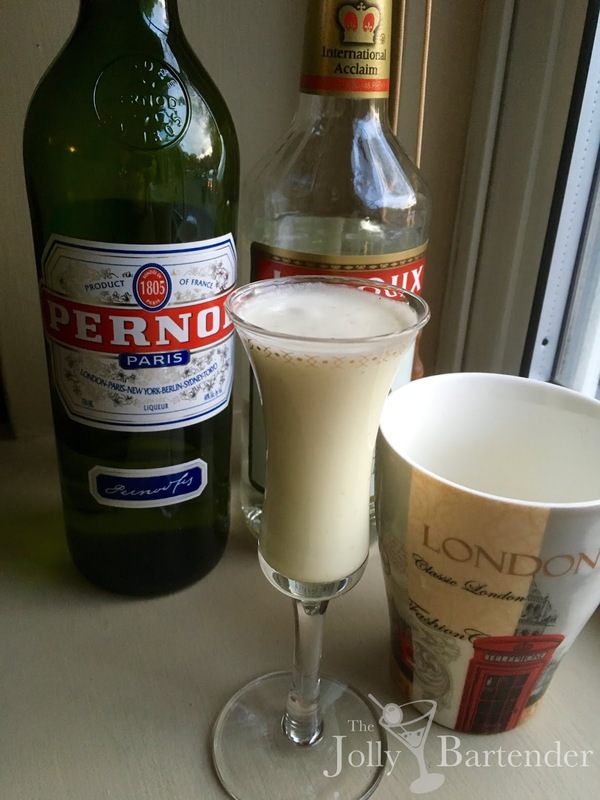 This dainty cocktail is a combination of one ounce of Pernod, one ounce of white creme de menthe, and a scoop of vanilla ice cream. Blend these together, but I recommend doing it with a whisk in a mixing glass or shaker. My feeling was that using a blender without adding ice would only make the ice cream watery. I wasn't wrong. The recipe will make about two pousse cafe glasses full of the drink, so feel free to offer it to a second person if you have takers. Combine all ingredients in a blender (shaker tin recommended) and blend (whip recommended) until smooth and pour into a chilled pousse cafe glass.